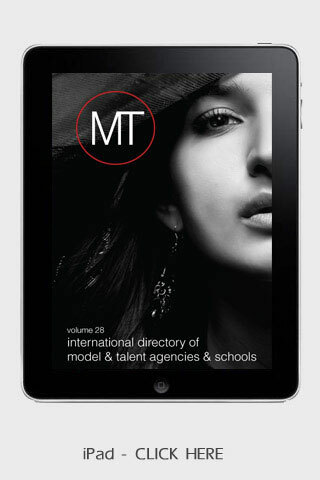 After 55 years, the future of the industry-leading Model and Talent Agency Directory is here! Peter Glenn Publications' #1 guide to the modeling and talent industry is now available in Print and ePub as well as an interactive iPhone/iPad app! iPhone, iPad, eBook & Print! Requirements: Compatible with iPhone and iPod touch. Requires iPhone OS 3.2 or later. WiFi, Edge, or 3G network connection sometimes required. 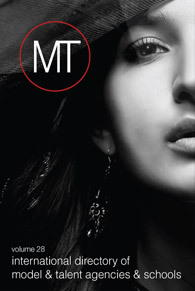 "With the help of the Model & Talent Directory, I was discovered and now I have representation!" "The directory is the most recognized industry resource in the industry"
"I take it everywhere I go." "Don't be fooled by other directories...the Model & Talent Directory is the only resource of its kind used by virtually everyone in the business!" 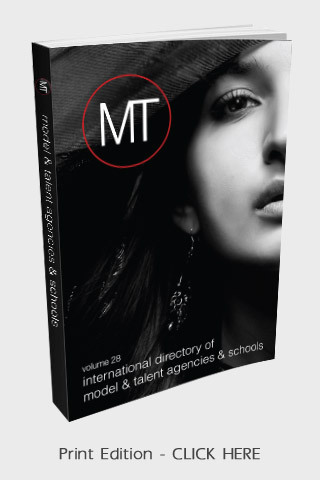 Since 1956, the Model & Talent Agency Directory has been published by Peter Glenn Publications and includes recognized legitimate model and talent agencies and schools from all over the world. 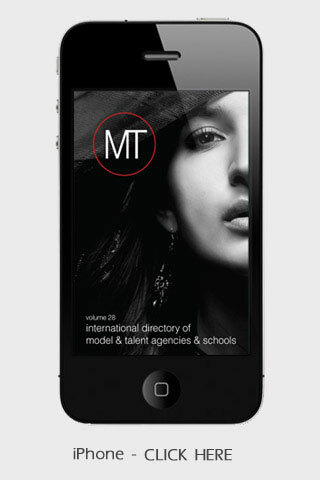 The directory has long been considered the "bible" of the model and talent industry. Does it cover every state? Yes. The directory includes agencies and schools in all 50 states, Canada and countries all over the globe. Because of the long standing relationships between PGP and the agencies, the quality of the information in the directory is directly provide by the agencies. Once an agency has been approved to be listed, then and only then can the agency appear in our publications. When will the apps be available? The App is available now! Click here to view it in iTunes . Can I purchase a printed book edition? Yes. The directory is available for sale at www.pgdirect.com. The cost is $29.95 + Shipping. Some 55 years ago, Peter Glenn, a famous model and scholar, began to compile and publish the resources that are still being published today. Peter Glenn Publications, which was formerly established in 1956, publishes resource directories and "How To" books for the Film, Fashion, Modeling & Talent industries. From those early days, the resources of PGP were widely used and accepted by leading industry professionals such as Eileen Ford, Wilhelmina and the late photographer, Francesco Scavullo to name a few... Now you will find our resources on the desks of most media and advertising executives, modeling and talent agencies, casting directors, production companies and even on the set of the hit show "Just Shoot Me" as a standing prop. In 1991, Peter Glenn, after a glamourous modeling career and the author of several books and directories passed away at the age of 69. Upon Peter's death, PGP (www.pgdirect.com) was continued by life-long friend, Chip Brill. Chip Brill has been responsible for the creative and art direction for the last two decades. Under Chip's guidance, the company continued to grow and expand until it was sold to Blount Communications Corporation in January 1997 to Gregory James Blount. Gregory was then the Associate Publisher for the previous four years under Chip Brill, as well as being a former Zoli model and a graduate from The University of South Carolina with a film degree and has worked on such movies as "Days of Thunder" and "Wild Hearts Can't Be Broken". As a tribute to both Peter and Chip for their hard work, integrity and dedication, the company's name was kept. In 2009, Sound Tree Entertainment (www.SoundTreeEntertainment.com) was formed and Gregory was named the Executive Producer. Returning to his production background, the company produces projects in all areas of films, television, photo and fashion show productions and music concerts. In 2009, Greg produced his first concert with the Disney Channel star, Mitchel Musso from Hannah Montana and in 2010 with Anna Margaret. In 2011, Gregory announced the launch of the Entertainment Speakers Bureau, which manages some of today's top casting directors including Joey Paul Jensen, Jason La Padura, Brandi Brice and Dana Gergely. Under ESB, the division which is the first of it's kind, handles all marketing , PR, speaking and teaching engagements for the casting directors. "Talent is a learned trait. In today's word, parents and aspiring talent need to develop their craft. By working and training with the right people, talent can build a solid foundation through hard work, dedication and having the support needed to build a successful career." Outside of Gregory's production projects, Gregory is a strong advocate for teaching the arts. Gregory produces the famous Talent Camp at Universal Studios in Los Angeles and also Casting Camp - Hollywood. In addition, with the help of Executive Director Barbara Smoliak, Gregory created the Star Power Program (www.DiscoverYourStarPower.com), which is an after school enrichment program that is currently taught in several elementary schools in Palm Beach County. In 2011, Gregory created the Eagle Arts Academy (www.EagleArtsAcademy.com), which provides on-going acting classes locally here in Palm Beach County and also SKYPE classes with our team of LA-based coaches, which includes Billy Hufsey (FAME), Joey Paul Jensen (SOUL SURFER) and Cinda Snow. In May 2011, Peter Glenn Publications celebrated our 55 year in entertainment publishing. Updated with faster search and updated location results. Now available on the App Store. Want us to send you a notice when new formats are released? Interested in being listed or advertising in the directory? Contact us today. Copyright 2011 Peter Glenn Publications & Poets Mobile.